Class registration is rolling. More Info! Holiday Clinics and Summer Camp. More Info! Free Adult Classes in Bryant Park! MFC is the best club in the country & I'll explain why. 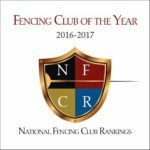 My son practices in this club since 2012 & ranked # 1 in Jr. and # 5 Sr. sabre weapon & was a member of US National fencing team for the 3rd time. He got bronze at NCAA championship. In the past he was a National champion for both Jr. and Sr. events. MFC produced most Olympic and National champions in sabre weapon. The owner & head coach is maestro Yury Gelman. He is 5 times Olympic coach for US Olympic sabre team. His students captured silver in Beijing 2008 and Silver and Bronze in Rio. Many students are National and NCAA champions. Yury also the head coach of St. John University fencing team. The results of MFC students are the best proof. If you or your child wants to explore the Olympic sport of fencing and you are in NYC area - try MFC. I am sure you will be pleased. 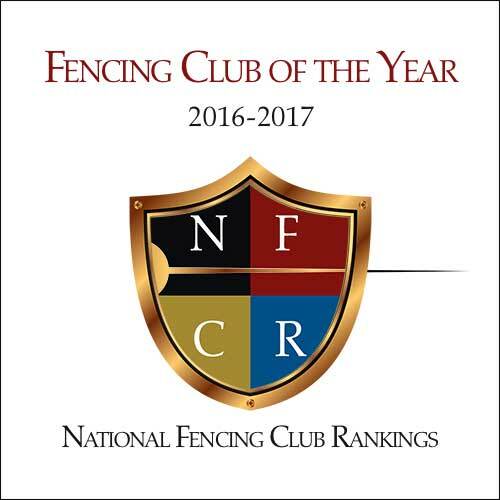 Everything you would expect from one of the top fencing clubs with world-class coaches is here - superlative training and fencers who consistently succeed at national and international competitions. The club manages to produce elite athletes with concern for the children's overall physical, mental and emotional well being. The coaches take a long view of their students' development, keep fencing fun, and are tireless in working with students and answering questions or concerns. We feel like we have a real partnership with our daughter's coaches. As a result, our daughter is not only learning fencing, but accountability, responsibility, and how to balance having fun with hard work. We are very fortunate to have a place like MFC! The MFC staff has been a pleasure to work with. Unique relationship between a coach and an athlete! My daughter has been training at MFC for over four years and I cannot speak highly enough of the club and most especially her coach Nellya Sevostyanova. Nells has been a pivotal force in her life - teaching her much more than just fencing skills, but life skills as well. Nells is able to understand each fencer and work specifically with their strengths and address their weaknesses. She treats her fencers like family - there is a unique relationship between a coach and an athlete, and Nells understands this perfectly. Fencing has given my daughter stamina, endurance, critical thinking, confidence and respect. What she is learning here will last her lifetime. My daughter was completely thrilled with Manhattan Fencing! She had a great learning experience with Aliaksandr. The skills he showed her allowed to do well in the group class, enhancing her appreciation and respect for the sport of fencing. I, personally, found the staff to be both professional and personable. They were knowledgeable, insightful and caring. I can see why Manhattan Fencing is so highly ranked. Here are my daughter's own words" "The teachers were nice. They helped me learn the fine points of fencing. I had a lot of fun too!" From my twelve year old, that's a rave review. Thank you Manhattan Fencing! After four years of fencing practice at Manhattan Fencing, I can say without hesitation that Manhattan Fencing is the best fencing center in Manhattan, with outstanding and skillful coaches and wonderful state-of-the-art facilities. Brand new facilities. Just opened in their new space. The coaches are great. Most are former Olympians. The kids that fence there are fabulous. Nice group and extremely supportive of each other's successes. Yury,Thank you for this fantastic 4 years, what you gave me is priceless. My dream came true with this opportunity and I will always be thankful to you for being my coach, mentor and friend on this journey! ...This is such a fun sport, and all of the people there are so friendly and laid back that I wont' feel bad at all about my level or skill next time. Not to mention how great of a workout it is - don't underestimate all that squatting and lunging! Excellent club with best fencing coaches available. I fenced as a kid and restarted fencing in my 40's. It is a great sport and this is great place to learn. All are made to feel welcome here. Love this place!!!! Awesome staff, clean facility, can't wait to tell my friends, great place for families!!!! Great facility. Spirited bunch of fencers and coaches. Our son attended the Pre-Summer National Camp and loved every minute of it! Coach Sergey is very knowledgeable and was very attentive to our child. ..definitely come check them out! We moved up to NYC about a month ago and went to the Mid-Manhattan library to get some books saw a sign saying the MFC has free fencing lessons on Friday during the summer. It was so awesome and fun. They taught us plenty of basics with footwork, attacks, defenses, and combos. If you want something fun and lighthearted to do, definitely come check them out! Thank you for making my daughters birthday so exciting. I recommend this place to anyone with kids looking for a party or something fun to get your kids involved in. We will be coming back for your kids classes! Level of instruction is impressive! My daughter came here after fencing for one year at another fencing school and got beat by kids in their second week at the Manhattan Fencing Club. Level of instruction is impressive.Don't waste your time and money with other schools. I brought my children here for summer camp and after the first day they were hooked. We have now been fencing for two years and it is a family activity rather than just the kids. All the other kids and parents are so friendly and the atmosphere is great. Stop by and check out their introductory packs before making any commitments. Great team, we came here for a team offsite and it was great. Most of us have never been fencing before and the instructor was really helpful. We got a quick, useful and fun introduction after which we were allowed to fence. It was great fun! Seems like a really nice activity for kids too. This elite fencing school has options for beginners to Olympians. I've fenced here myself and always have a great time. Highly recommended if traveling to NYC and especially for anyone who lives close by. Classes start at age 4 (they call them musketeers!). Our coach Vladymyr is excellent! We signed up for a course with my other half earlier this year as we wanted to try something different. We have been having so much fun fencing! Our coach Vladymyr is excellent. He is also a World Champion. Everyone at the club welcomed us. En garde! For years I have had the pleasure of working with the coaches at MFC. They are amazing coaches, great with kids, and the club is owned by one of the greatest coaches in modern day, Yury Gelman. There are several amazing clubs in NYC, and you won't go wrong with any of them, but you certainly won't go wrong here. Located in Midtown, the Manhattan Fencing Center was started in 2007 by U.S. Fencing Hall of Fame Maestro Yury Gelman. Fencing success has everything to do with the club and coaches. We pride ourselves on our exceptional facility, our world-class coaches and our dynamic programs. Read more. New to fencing? 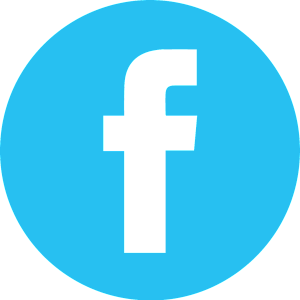 Try a lesson and class with an introductory package. Not a beginner? Give us a call to get recommendations on how to start at 212-382-2255 (ask for Julia). Upcoming kids, teen and adult camps for beginner, intermediate and advanced students.